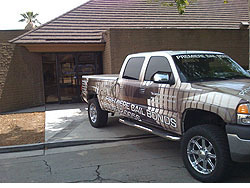 Need a Santa Ana Bondsman? Please call first as we might be at the jail or courthouse. 1076 West Santa Ana Blvd. Posting bail for a loved one or a friend in Santa Ana can be a difficult experience, especially if this is a first-time offense. For 20 years we have been serving Santa Ana and surrounding Southern California cities and counties, such as Westminster, Tustin and Costa Mesa. We are a family-owned and operated business that provides top-quality customer service, with a reputation built primarily on referrals from past clients and prominent criminal attorneys. Where will an arrestee be taken upon arrest? Santa Ana has a large jail facility so more than likely the individual in question will not be transferred to the Orange County Jail unless they have outstanding warrants or the Jail is overcrowded or the inmate has a medical condition. The booking process is the procedure in which the inmate is catalogued, photographed and fingerprinted. In this time the individual may use a phone and then be placed in a holding cell. Many times inmates do not get more than one call. How long is the booking process for an inmate ? The Jail could book an individual in 1-2 hours depending on how busy the facility is. The Orange County Jail facility can take up to eight to twelve hours and again, it depends on how busy and overcrowded they are. By calling us right away at 714-714-4000, we can substantially cut the time its takes to post bail. 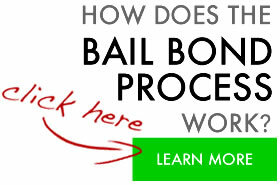 How can I post bail/bond for an inmate? The jail facility in Santa Ana is open twenty-four hours a day, seven days a week. In the Orange County Jail bail is posted at the IRC Cashier’s Office at 550 N. Flower St., Santa Ana. If the inmate has been sentenced bail cannot be posted. Bail Bond information will be available shortly after a defendant is arrested. It is best to first call the jail prior to going to the jail. Or call us, we have direct lines to jailers and can often obtain the information you need before it is available to the general public. Please use out online tool to check for an inmate at the Orange County Jail. If you do not find them in the system we will call the jail for you. For the Premiere Bail Bond Company call us now! Our agents can meet you anywhere at anytime! Below is a link to the Orange County Court System. There are five main courts in OC. The jail will notify us when and where an inmate will be taken to court prior to his or her court date. This is usually determined by where the person was arrested. 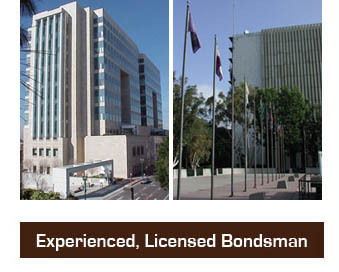 Santa Ana is roughly home to over 300,000 people and holds a lot of Orange County Government building. Santa Ana is also the home of Orange County Main Jail, OCJ. Orange County’s Main Jail is located off in Santa Ana off of Flower St. If you or someone you know is arrested in Santa Ana this is your destination. It being Orange County’s Main Jail, it is very busy and could take several hours to be bailed out. We recommend you to call us at 714-714-4000 as soon as you know so that we can start working with you and the jail for a timely release.